I have some exciting news! 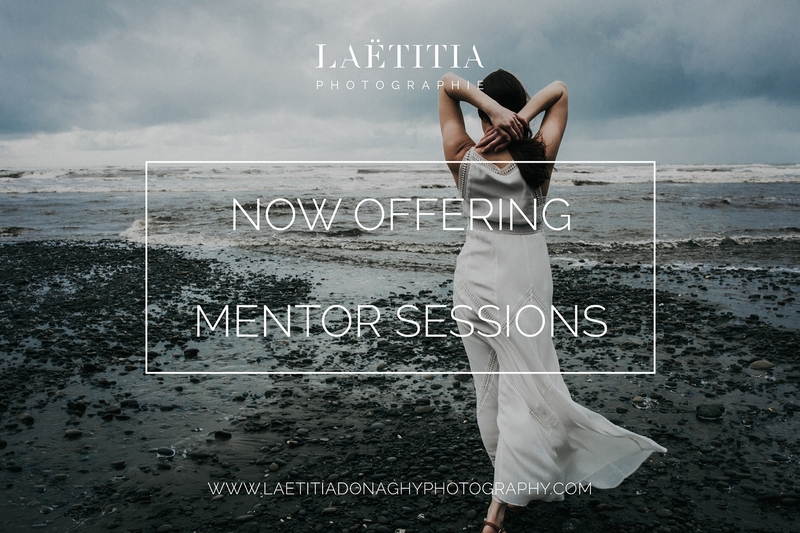 After thinking about it for the last few years, I have decided to offer mentor sessions! My photography education started in college, when I was accepted into the Fine Arts program at my school and had to choose a primary medium of focus. That education was incredible, but very conceptual and lacking in the technical and business areas. I graduated feeling ill-equipped and having absolutely no idea how to turn this into a job. I remember thinking “What now? !” I genuinely had no clue what the next step was. Thankfully I had a husband who believed in me and in my work and I dove in feet first. I read every article and watched every free YouTube video on every aspect of photography I could get my hands on. I spent hours upon hours on the computer, watching, taking notes, practicing, learning, growing. Eventually I started to invest in CreativeLive classes, something I highly recommend to all! It’s an incredible resource. College, web classes, webinars, seminars, articles, and eventually workshops. Many, many workshops lol. And over the last few years, between all that education and my own practice, I finally started to understand my craft, I started to understand my industry, and I developed my own process. My own way of shooting and directing, my own way of editing, my own workflow. – Beginner: An introduction to photography principles, understanding your camera and getting started in editing. – Business Development: Covers pricing, workflow, and any other question a new entrepreneurs will need guidance with. – Posing & Directing / Live Shoot: A hands-on class that focuses on choosing a location, working with available light and directing your subject(s) to create natural, “non-posey” images. – Custom Editing: Learn all the Lightroom modules and develop your own photographic aesthetic. – Portfolio Review: Develop a more refined artistic voice and brand by examining whether your images and website communicate what you want them to. I owe so much to all the educators who shared their knowledge and passion with me, and my business would not be what it is today without their generous spirit. I love sharing and connecting with other creatives, and fully believe in community over competition. I always knew one day I’d want to give to others what I was so thankful to have received, guidance, and we have finally reached that time. I can’t wait to share with a new generation of photographers, and watch them grow in their craft. I can tell you first hand that there is nothing more fulfilling than to create something you can give to others, and to do what you love. To push through the challenges and see yourself and your work grow. I can’t wait to see what you do! !